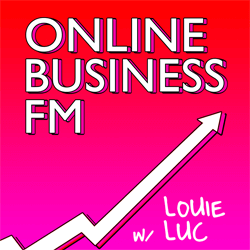 Hi and welcome to the homepage of the Online Business FM podcast. 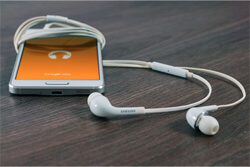 The Online Business FM podcast is an online business and digital marketing podcast. It focuses on those areas in general and on all the moving parts you need to know to reach success in your endeavors. You can listen to all our episodes directly on this page (using the player at the bottom or downloading each episode’s MP3 file) but you can also listen to (and subscribe to) the OBFM podcast on your favorite podcasting directory. Also, go ahead and subscribe to our mailing list to make sure you don’t miss any episode and other great stuff. OBFM 15: What Is a Niche Website & Why Is It So Important to Have a Very Specific Focus? OBFM 9: How Much Does It Cost to Start an Online Business? Here’s the Definite Answer!! OBFM 3: Passive Income Myths & Truths: Can You Really Make Money While You Sleep? January 31st of 2018 marked the official start of a brand new journey to me, Louie Luc, an exciting adventure through the world of podcasting. After many ups and downs, lots of doubts and not that many certainties and almost a year of hard work… from idea to research to project and from setup to launch, this life-long dream of mine has finally come true! My own radio show is up and running! Creating this show was the best way I found to serve you by offering you better and more frequent content. My aim is to be right there, alongside you, taking you by the hand while you go through this super exciting path of (digital) entrepreneurship. I’ll teach you what I know and learn a lot along the way, too. and the reason why I say… “let’s find out together how we can make it online”! And don’t forget: this podcast will also serve as a real-life case-study (like my Public Niche Site Project) where I’ll share my plans and progress (breakthroughs and hardships) while running it. After all, a podcast can become an online business as well. Please subscribe to the show on your favorite podcasting directory or platform (check the links here), leave a rating and a review. Doing so will help push this show up on the charts and help many others — just like you — who are looking for free, quality content on how to build a successful and profitable business online. If you’d like to be notified when new episodes are published and receive other updates from this blog, join our email list below.